On March 16, 2017, scientists from the A·WOL Consortium based at the Liverpool School of Tropical Medicine published online an open-access paper entitled “Short-Course, High-Dose Rifampicin Achieves Wolbachia Depletion Predictive of Curative Outcomes in Preclinical Models of Lymphatic Filariasis and Onchocerciasis” in Scientific Reports. The study explored the development of a shorter treatment regimen, resulting in adult filarial worm death (macrofilaricidal), by using the antibiotic drug rifampicin to target Wolbachia. Unlike doxycycline, this regimen could be safely administered to pregnant women and children. 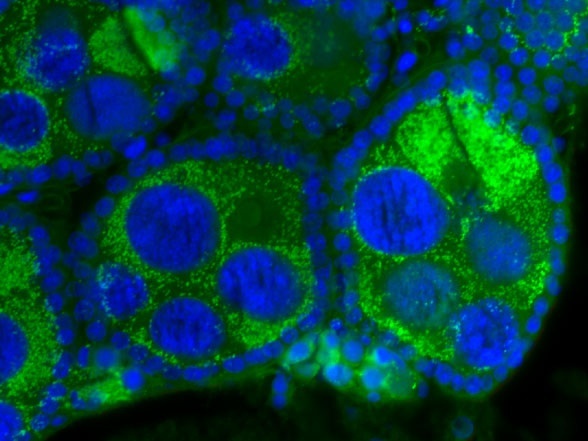 Professor Mark Taylor, corresponding author on the paper, said: "The anti-Wolbachia strategy has proved to be a paradigm-changing therapeutic approach to the treatment of onchocerciasis (river blindness) and lymphatic filariasis (elephantiasis). The data in this paper shows that a clinically safe dose of rifampicin can elicit the same result as the standard 4-6-week doxycycline therapy when administered over just 1-2 weeks. What's more, the fact that it is also safe for children and during pregnancy means that interventions are more likely to benefit the community as a whole, taking us one step closer to the WHO's ambition to control and eliminate these terrible diseases." Previously published findings by the authors have shown that a 4-week course of the tetracycline antibiotic, doxycycline, depletes Wolbachia populations in onchocerciasis and leads to long-term sterilization and a macrofilaricidal effect, whereas a 3-week course of doxycycline delivers sub-optimal effects. This treatment regimen would be compatible for use in children and during pregnancy and, because of the shortened duration of administration required, would be more readily deliverable by health care systems in resource-poor community settings.